Adrian Pu is a 14 year old ninth grader at Harper Junior High in Davis, California. He started playing piano at 5 years old with Huei Ping Chen Lin and currently studies with Dr. Natsuki Fukasawa. 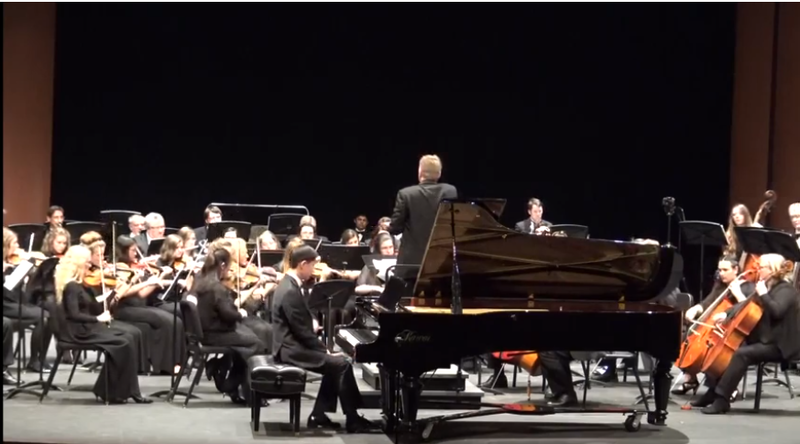 As a concerto competition winner, he has soloed with the American River College Orchestra and the Merced Symphony. He also performed for over 3000 kids in the Merced county and Los Banos Unified School District at children’s concerts. He participated in the 2018 Orfeo Music Festival in Vipiteno, Italy and won the first prize in their International Music Competition. He has also participated and won top prizes in numerous competitions such as the US New Star Piano Competition, US New Star Etude Competition, California Association of Professional Music Teachers’ Contemporary Music Competition, Festival of New American Music Young Artists Competition and more. He will make his Carnegie Hall debut in March 2019 as a prize winner for the American Protege International Competition of Romantic Music. His repertoire includes works from many different composers such as Beethoven, Mozart, Chopin, Bach, Liszt, Dvorak, Schubert, Debussy and more. He also has received a scholarship from the American Guild of Organists and currently studies organ with Dr. Ryan Enright.